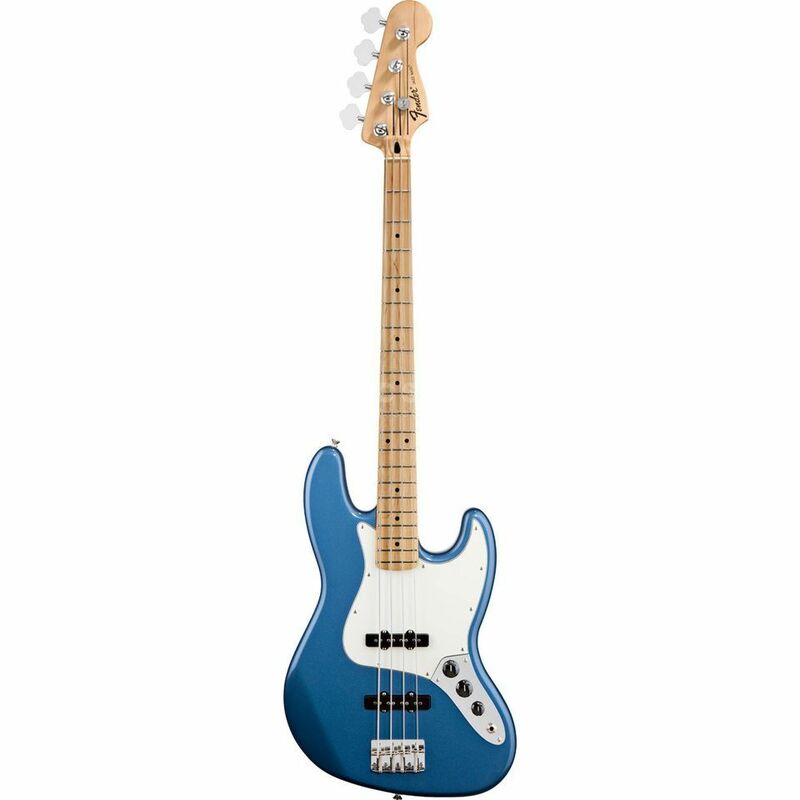 The Fender Standard Jazz Bass MN Lake Placid Blue is a four-string electric bass guitar with a maple fingerboard, single coil pickups and passive electronics. The Fender Standard Jazz Bass convinces with a classic sound and comfortable feel, making it one of the most versatile electric basses on the market. With a traditional offset design, this bass guitar contains a neck and body connected in a classic manner with four screws. A maple fingerboard provides a solid, smooth playing surface. A “Modern C” profile for the screwed neck offers a high level of playing comfort. Two Fender Jazz single coil pickups with passive electronics deliver the right sound for every musical application. This bass guitar is at home when performing pop music, dirty rock'n'roll or brutal heavy metal. Customise your sound through two volume knobs and a tone control. Authentic vintage hardware is provided to facilitate the most rigorous on-stage performances. A Fender standard vintage bridge with four string saddles ensures a precise intonation and comfortable string position. Vintage-style hardware provides an incredible level of reliability.